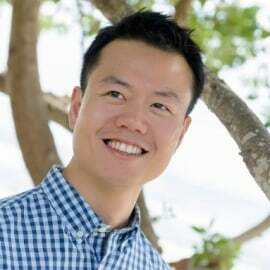 Gavin Teo is a Partner at B Capital Group and leads the fund's San Francisco office, where he invests in emerging mobile technology and serves on the Board of SilverCloud Health. Prior to joining B Capital, Gavin led investments in AR/VR, digital healthcare and IoT at Comcast Ventures. His prior investments include AltSpace, August Home, Automatic Labs, Baobab Studios, BodyMedia, CreativeLive, Felix & Paul Studios, Meta, NextVR, SPACES and Twitch. Before joining the venture industry, Gavin managed product for FarmVille at Zynga and served as a management consultant at Bain & Company. Gavin earned his M.B.A from The Wharton School of the University of Pennsylvania, where he graduated as a Palmer Scholar. He holds a B.A. in Economics from Claremont McKenna College. Fun Fact: Gavin has taken one of the longest elevator rides in the world, one mile into the depths of a South African platinum mine. As such, he understands the value of a good elevator pitch!